September 2nd & 3rd saw the second gathering of the Rusty Nuts Racers (RNR) for 2017. 13 eager gents gathered at HSRCA Spring Festival at Wakefield Park to compete in their regularity events including a 30-minute enduro. It was great to see 13 stunning MGs all gathered together to enjoy the unusually good weather for Goulburn. One MGA, Richard Rose in his Group S car, one MGCGT & 11 MGBs competed. Clay Carter in his recently acquired ex-Robin Swan MGB, had fuel pump issues on Saturday, however, Richard from Peninsula Sports Cars brought a new pump down first thing Sunday morning & with a little huffing & puffing from Morsey & Phil Powell, had him going in no time to enjoy Sunday`s events. 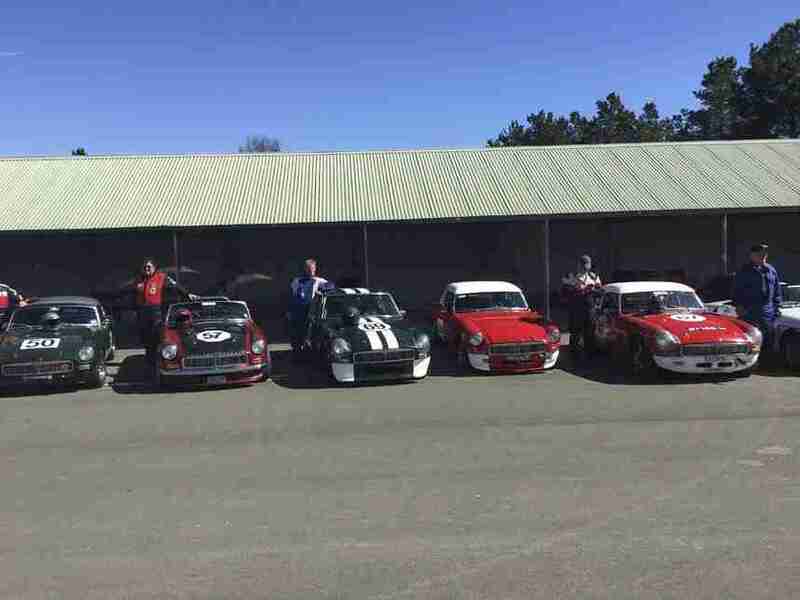 Fastest cars of the field were lapping in the 1.16 & 1.17 sec, those were Kerry Phelan, Phil Powell, Greg Smith, MGB GT, Chris Scheffer in his amazing Mazda powered MGB/X5 & not to mention Steve Perry in his rapid MGC GT. Regularity was fast & furious with no incidences, unlike some other categories. In event one on Saturday, Kerry Phelan came 1st and Greg Smith 4th on their nominated times. 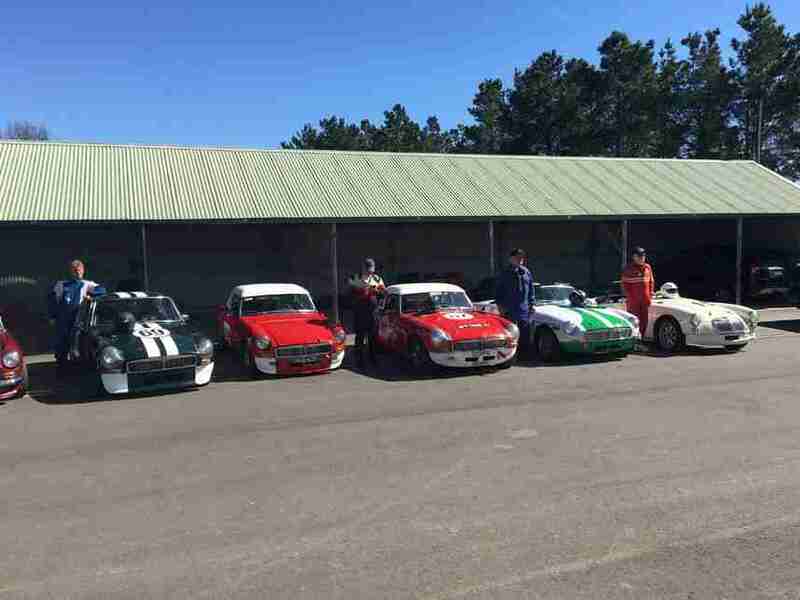 The second event was the 30 mins regularity “enduro” event in which not only do you have to nominate the number of laps that you can do, but also team up with three other drivers and see how close the four of you can get to your collective laps. The RNR team of Steve Perry, Geoff Morse, Phil Powell and Greg Smith won the event after travelling the closest number of laps to their nominated laps. In the 3rd event on Sunday, Trevor Bly came 1st and Richard Rose gained 3rd position. In the last event of the day, the RNR group went out onto the track closely followed by the DUST STORM and a sprinkling of rain. Once again Christopher Belling in his HQ, gained 1st place closely followed by Tony Richmond and Greg Smith. In the spirit of the RNR Geoff Morse and Phil Powell were jointly awarded the “RNR Helmut”. They were so given this award for assisting another new team member Clay Carter to replace a fuel pump so that he could finally experience his newly acquired car on the track. There is considerable interest from others to join our Rusty Nuts Racing group, as we are open to all comers that wish to enjoy our category without the aggressiveness of other groups. It would be great to see our numbers swell to around 20 or more so that promoters could give us our own events. 11th & 12th November is our next event at the HSRCA Summer Meeting at SYDNEY MOTORSPORT PARK, let`s hope we have a big roll-up of Rusty Nuts Racers. I am organising cans of WD40 to help unseize those nuts ! 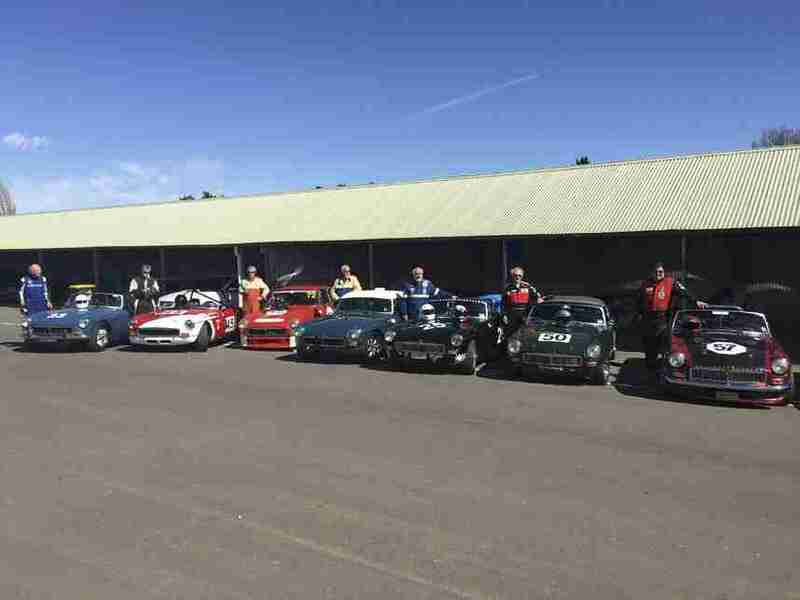 “Rusty Nuts”, a group of like-minded people with cars that enjoy having fun with them.eg doing regularity events, Supersprints, Hill Climbs, Classic Rallies & organised drives.